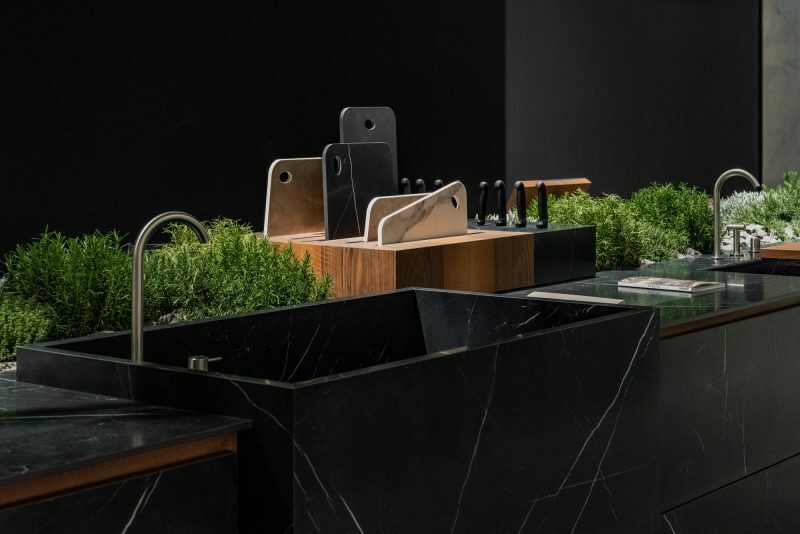 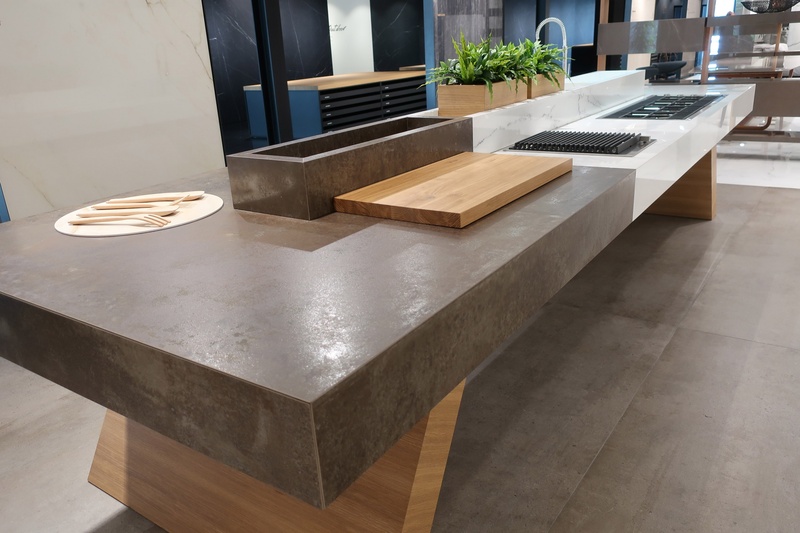 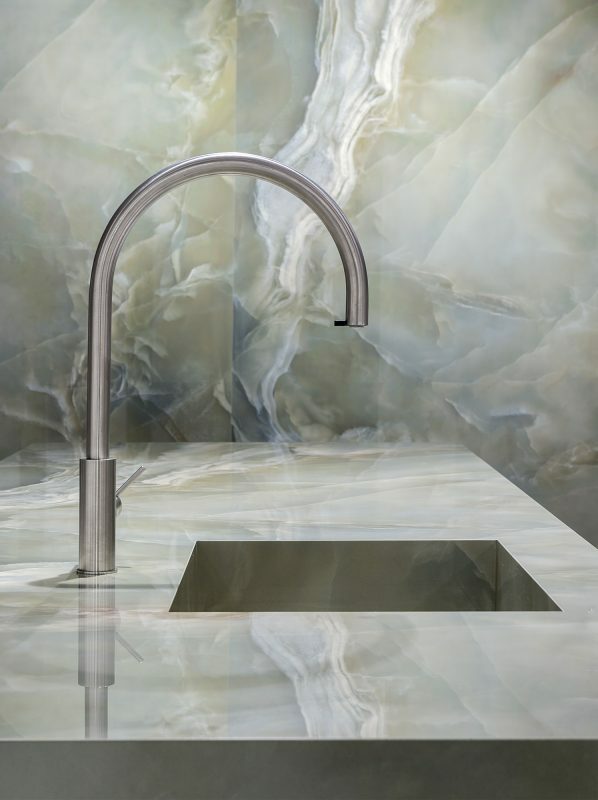 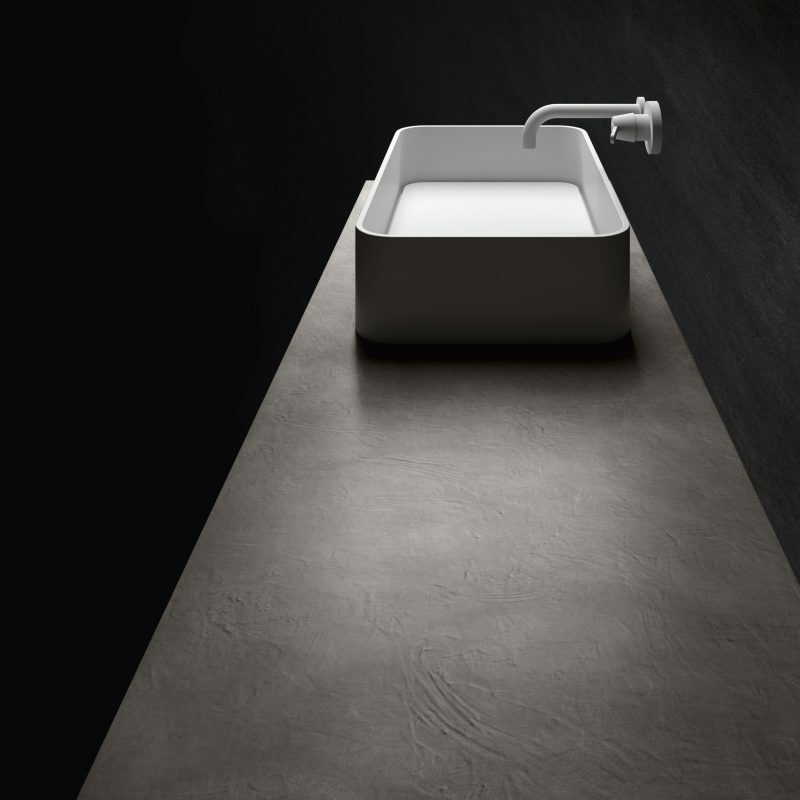 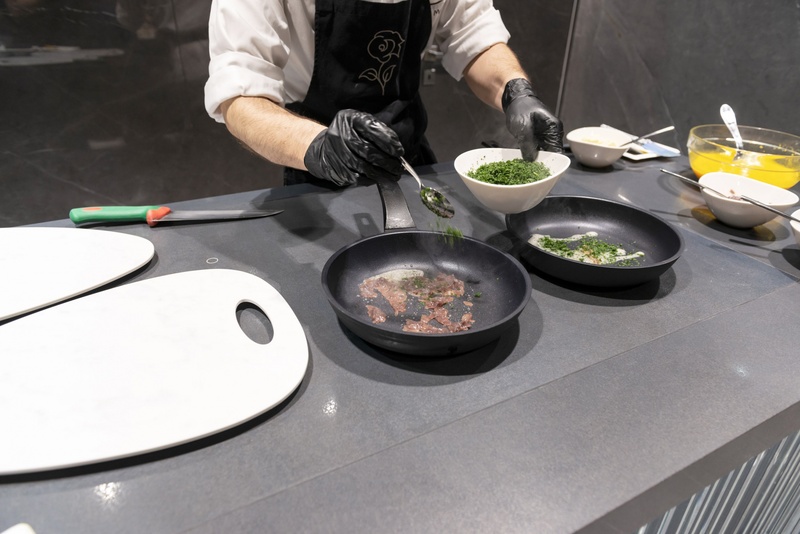 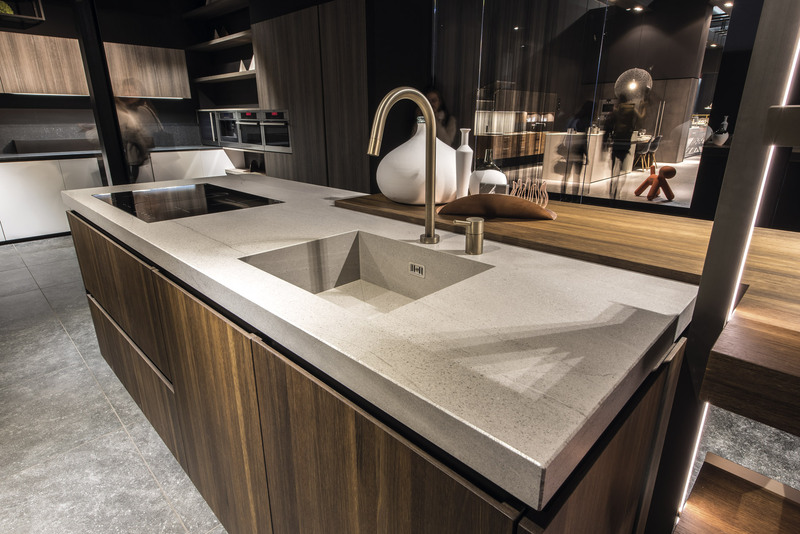 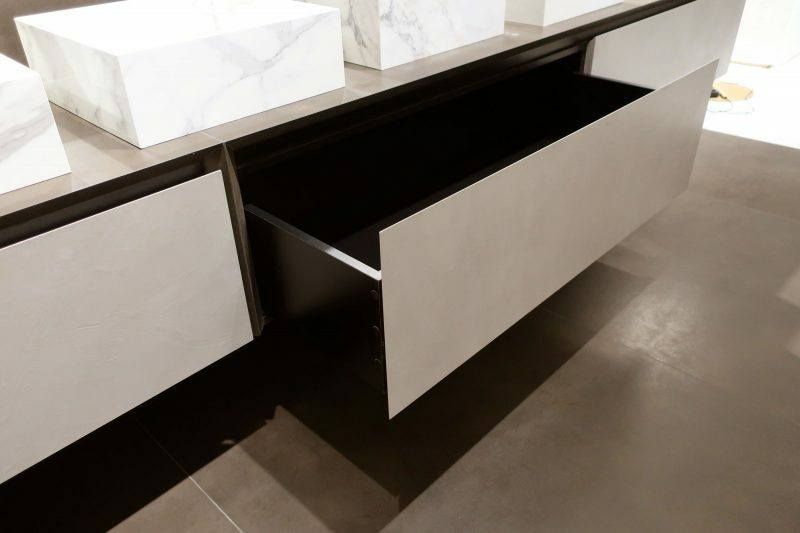 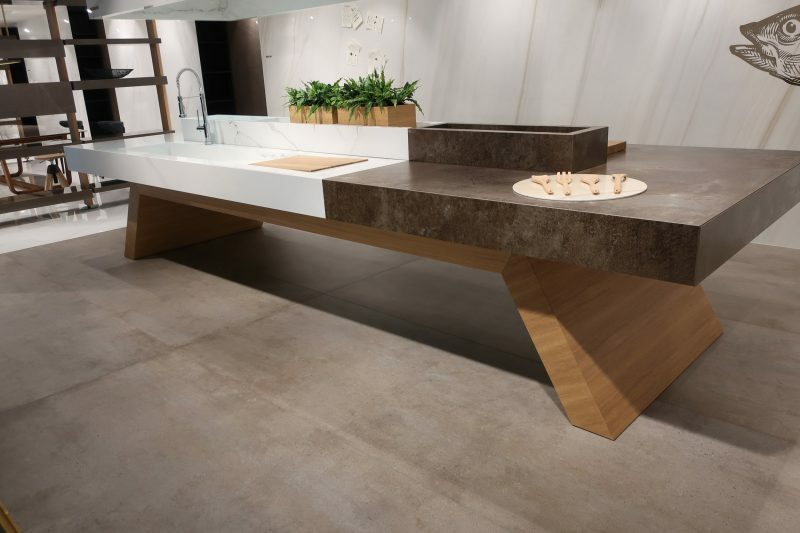 With almost limitless installation opportunities for integrated sinks, storage cabinets and stand-alone islands, porcelain provides a non-porous surface that is ideal for food preparation. 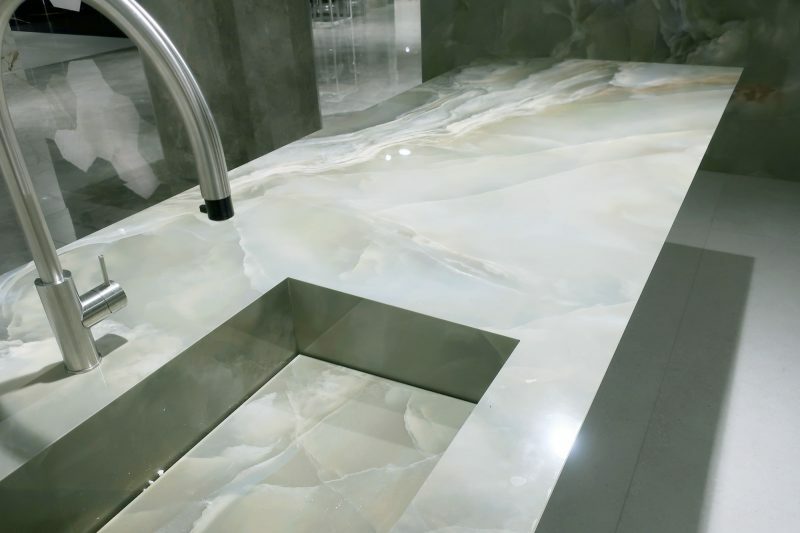 The tile surface is completely waterproof, has anti-microbial properties and is resistant to extreme heat. 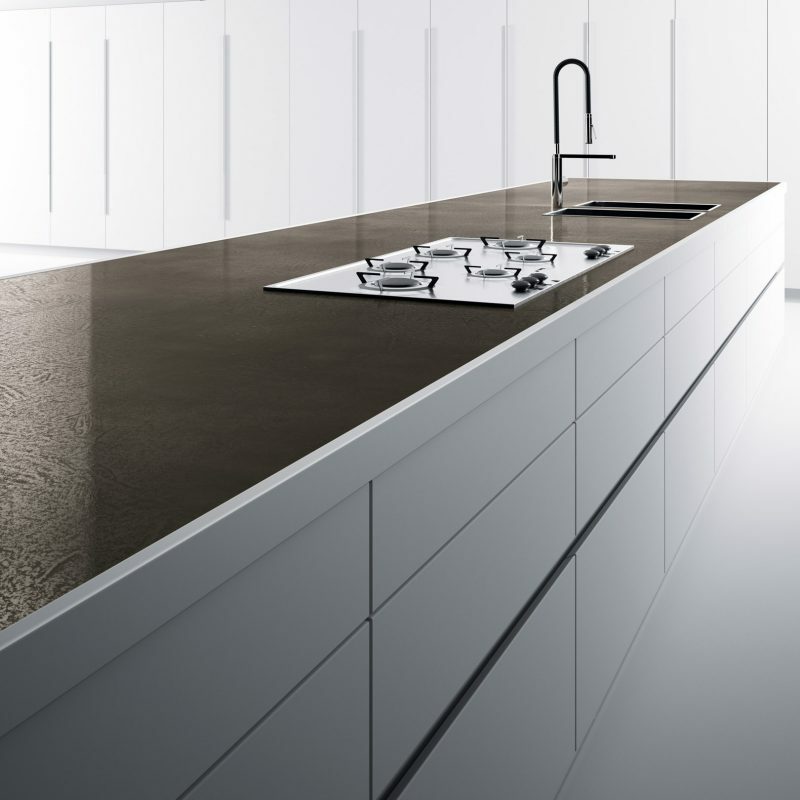 This makes it the ideal material for countertops and work surfaces. 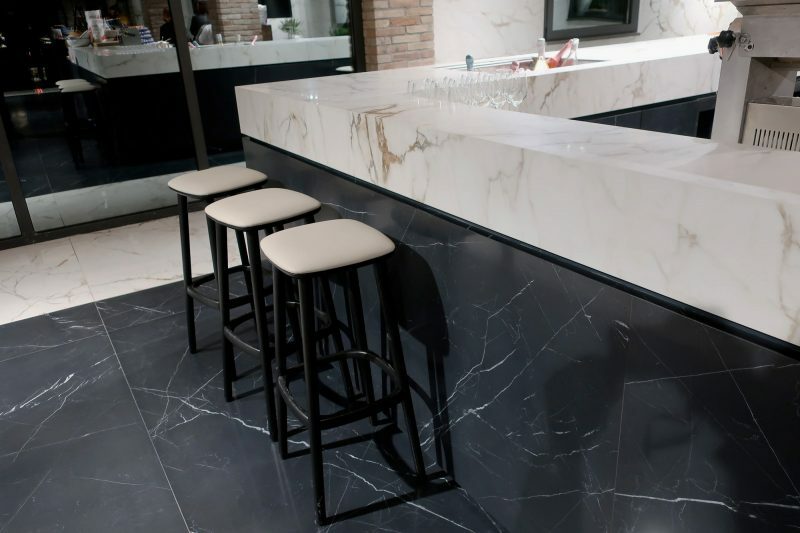 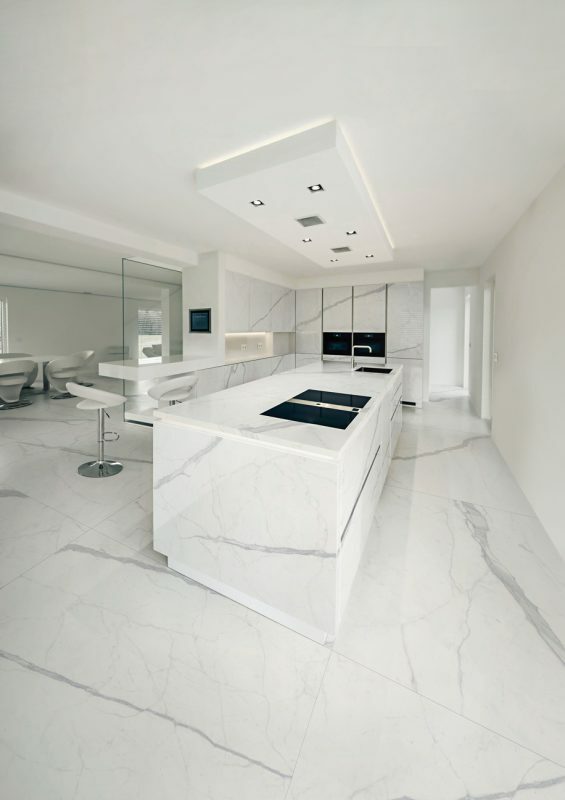 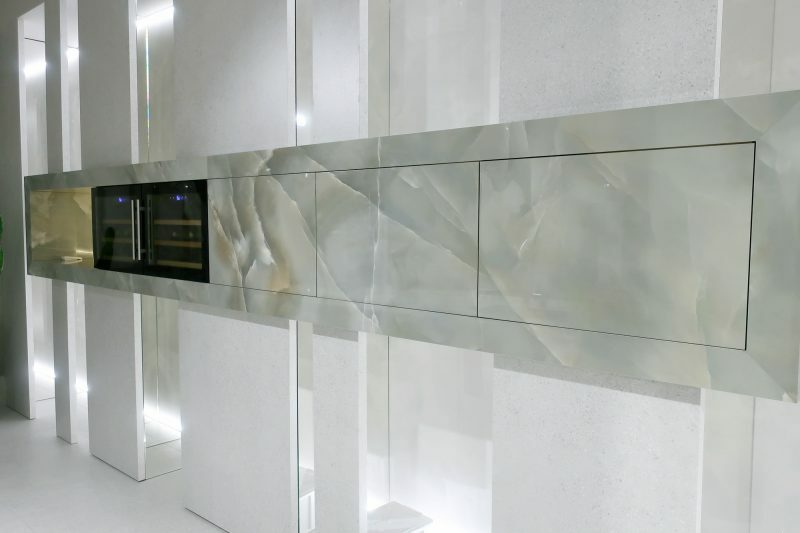 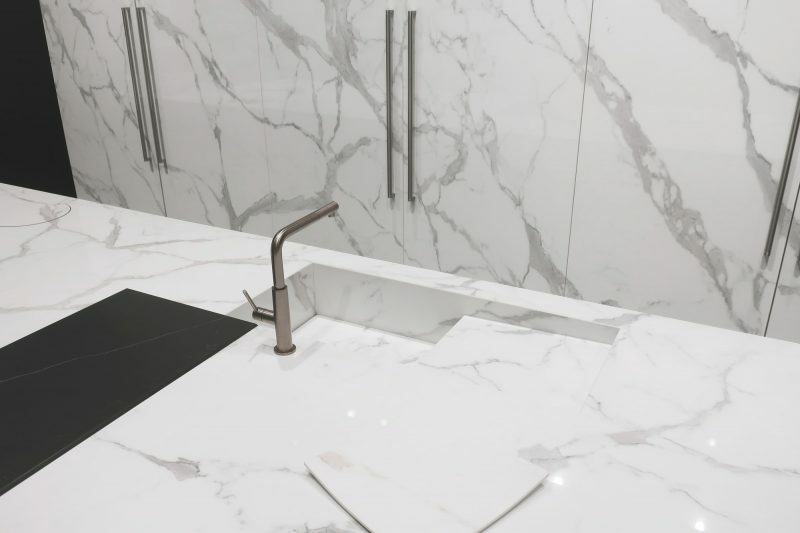 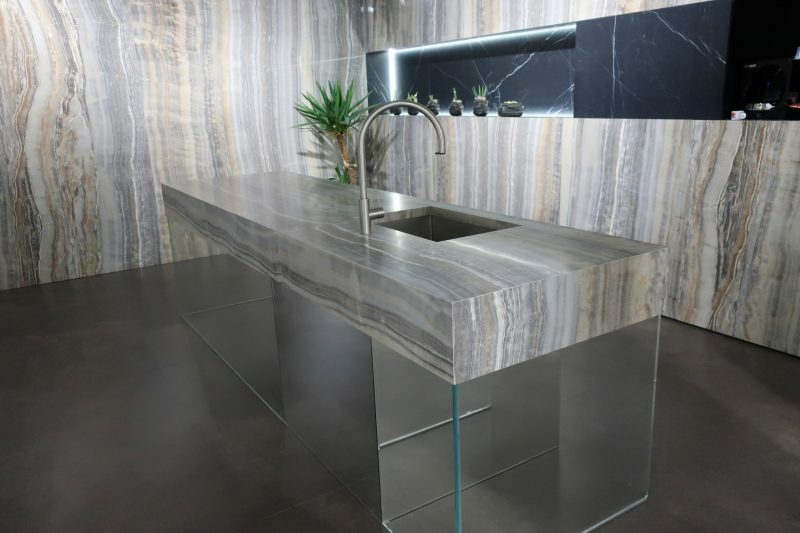 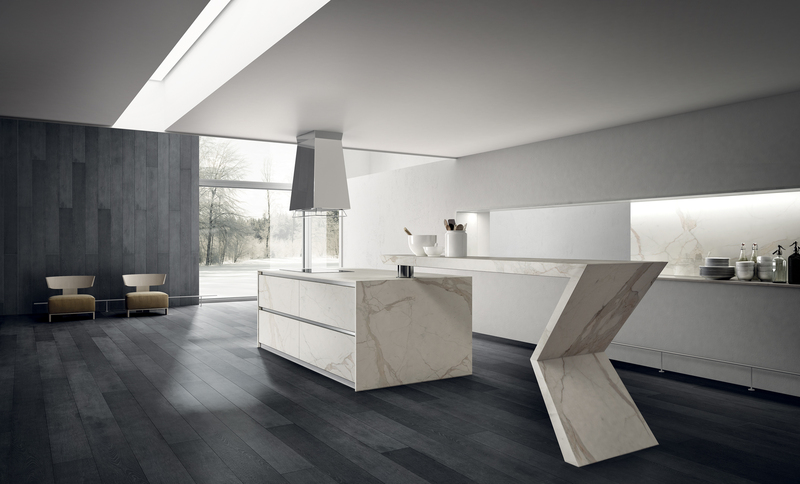 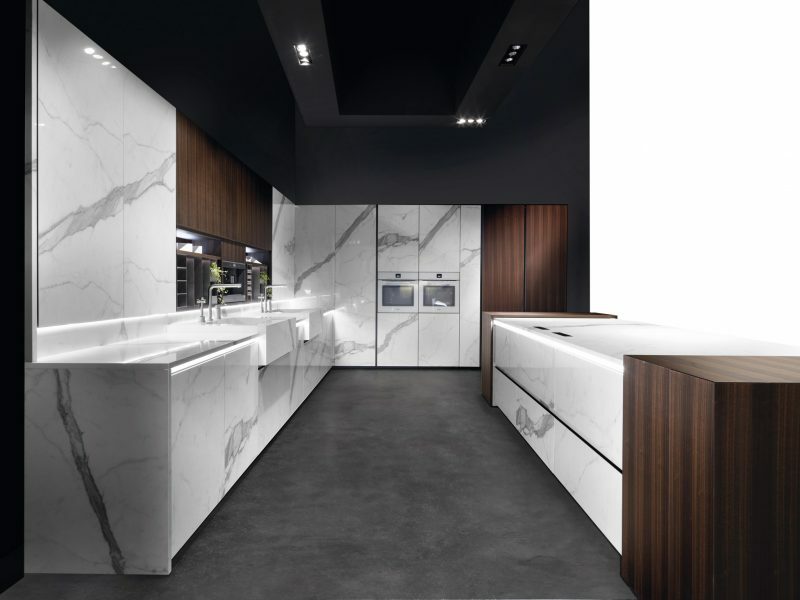 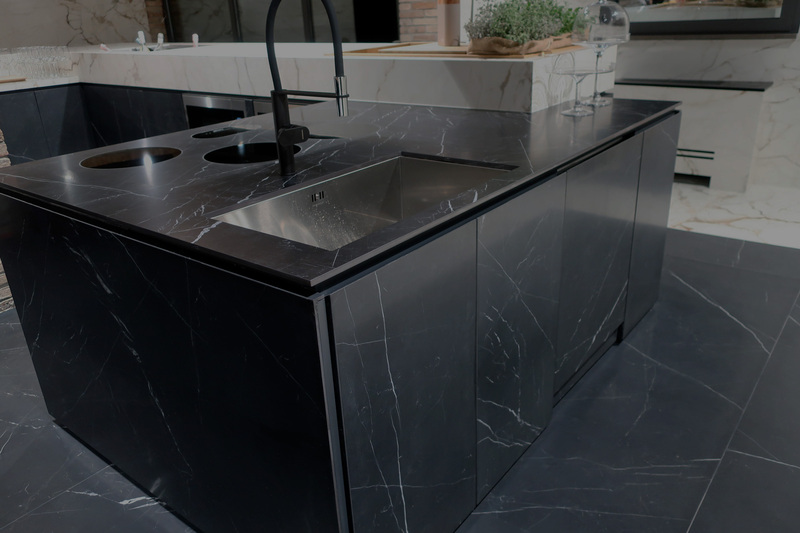 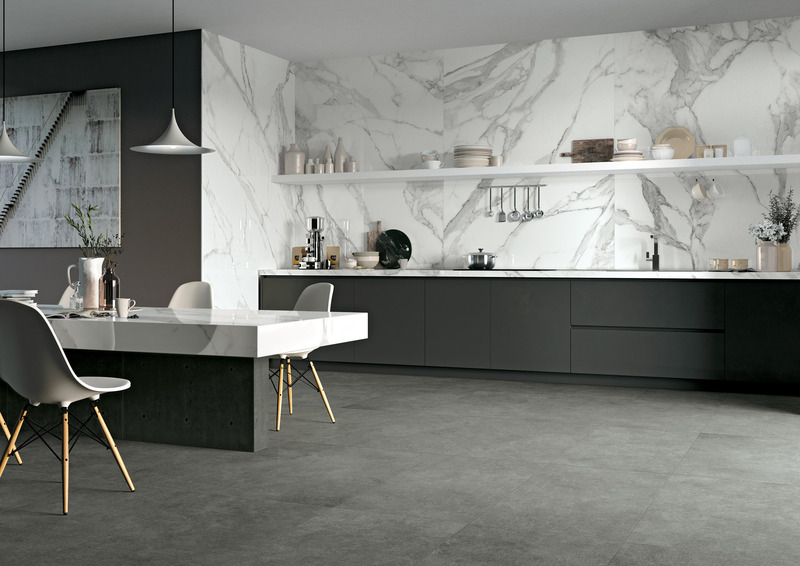 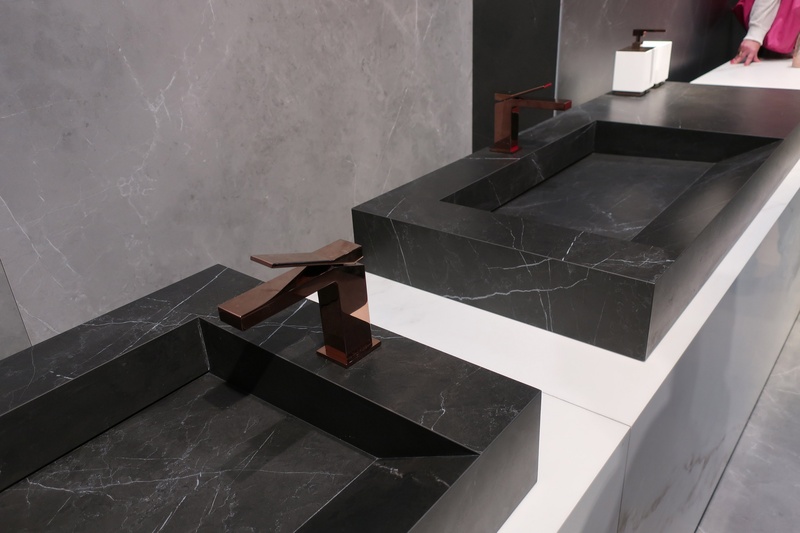 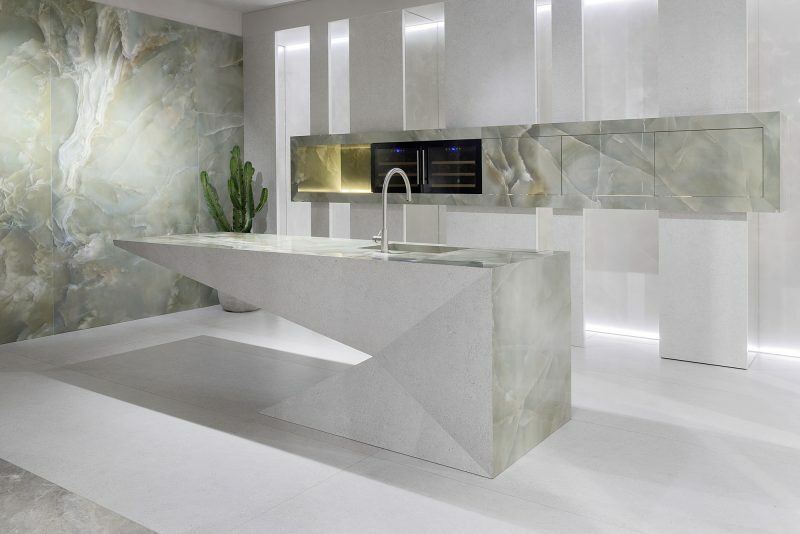 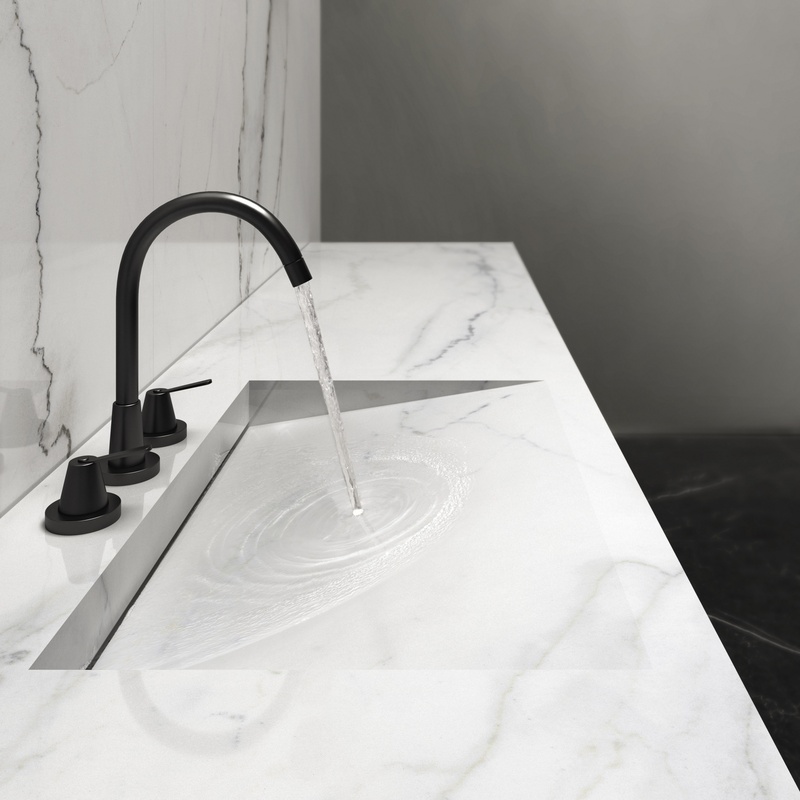 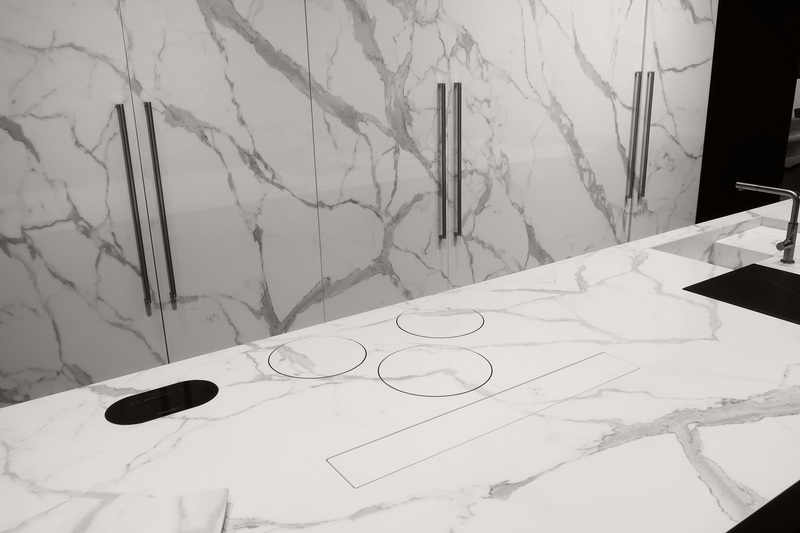 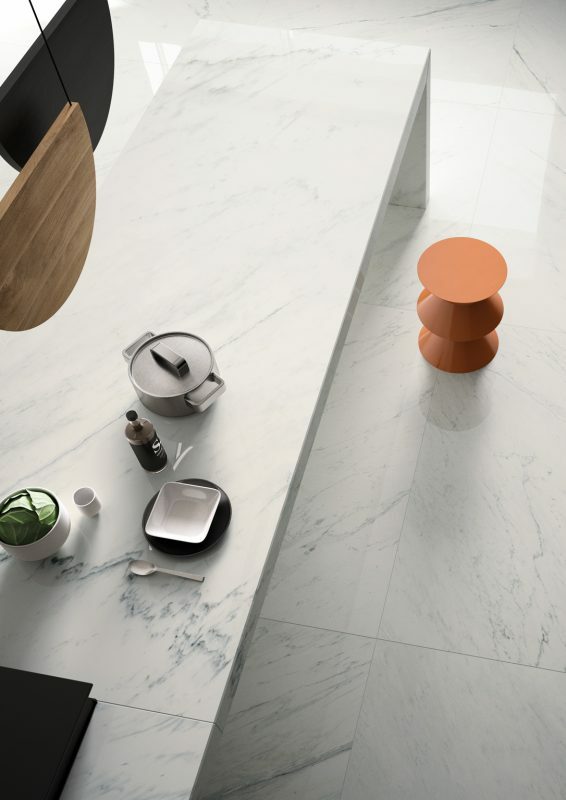 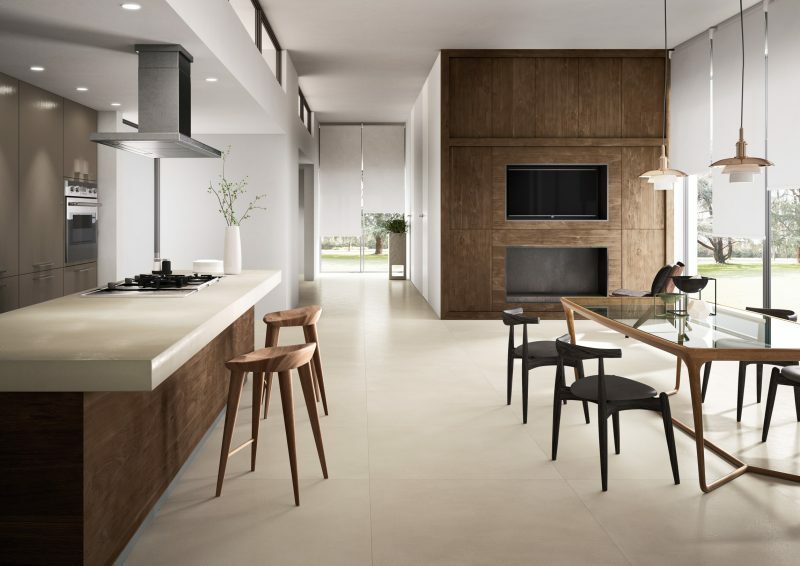 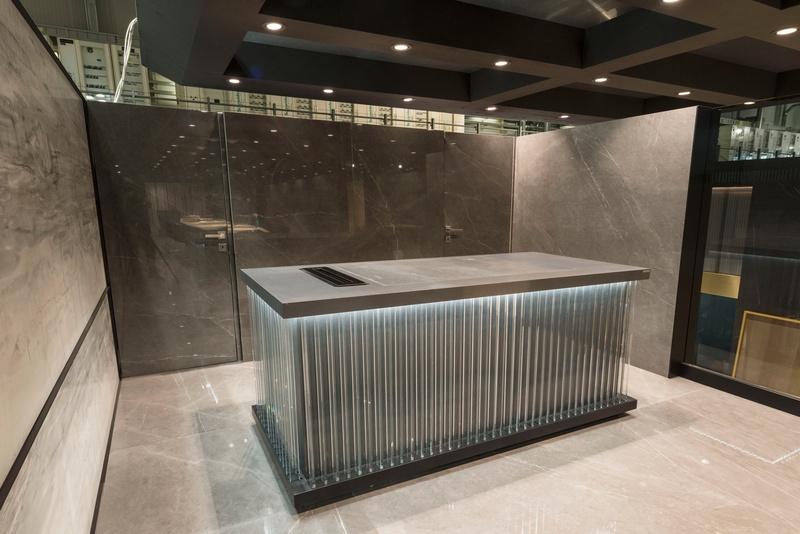 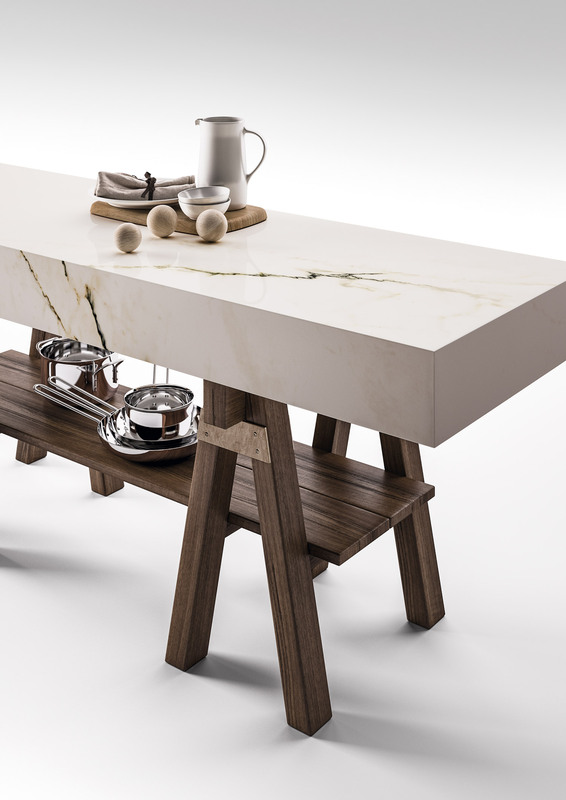 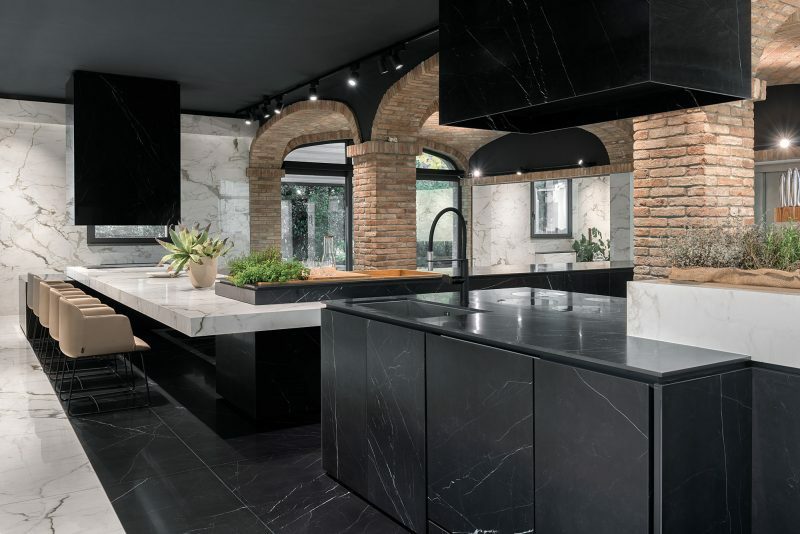 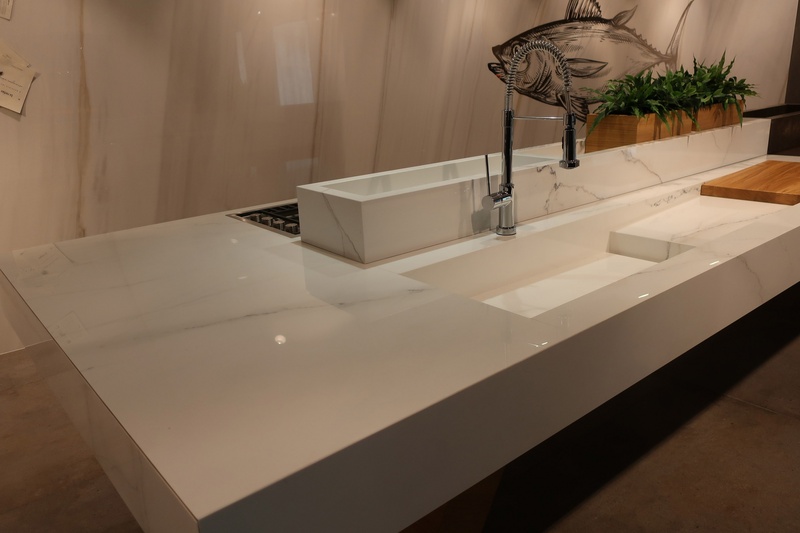 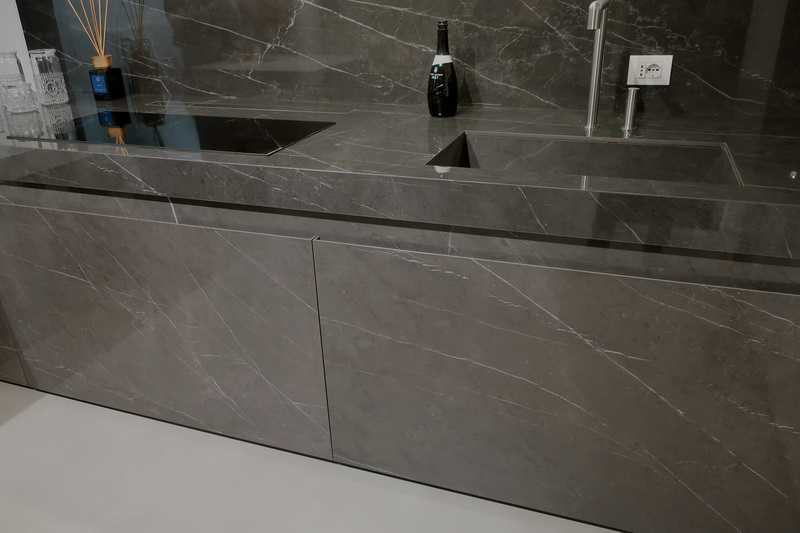 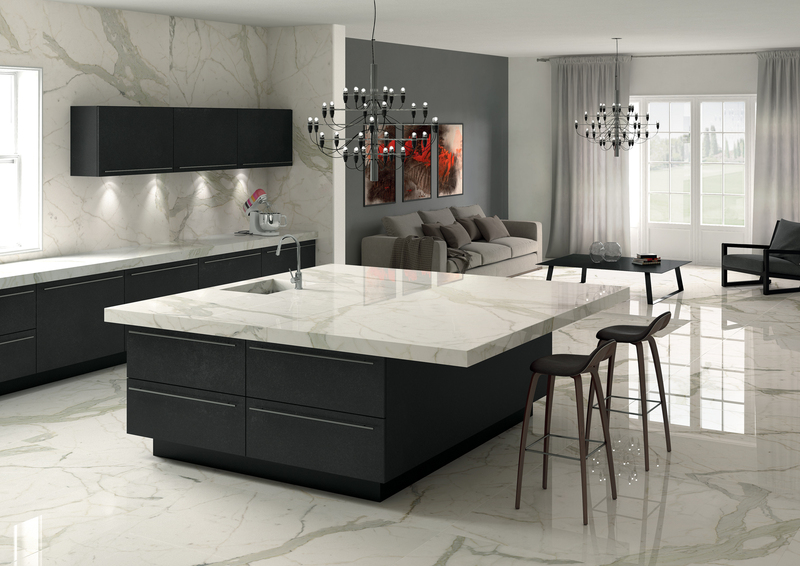 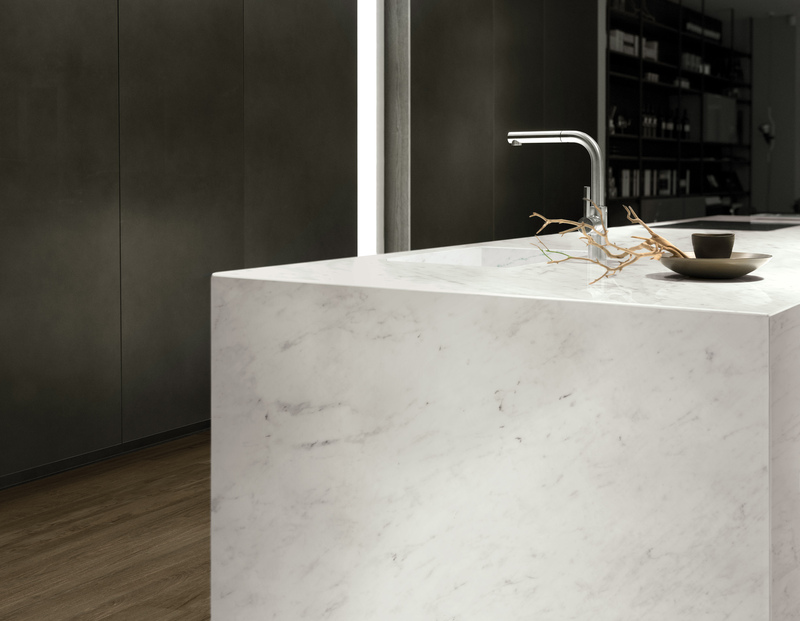 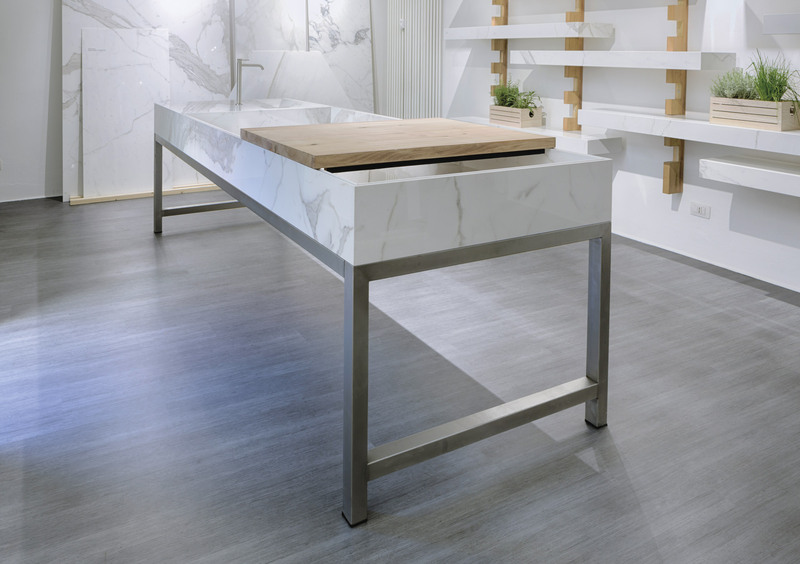 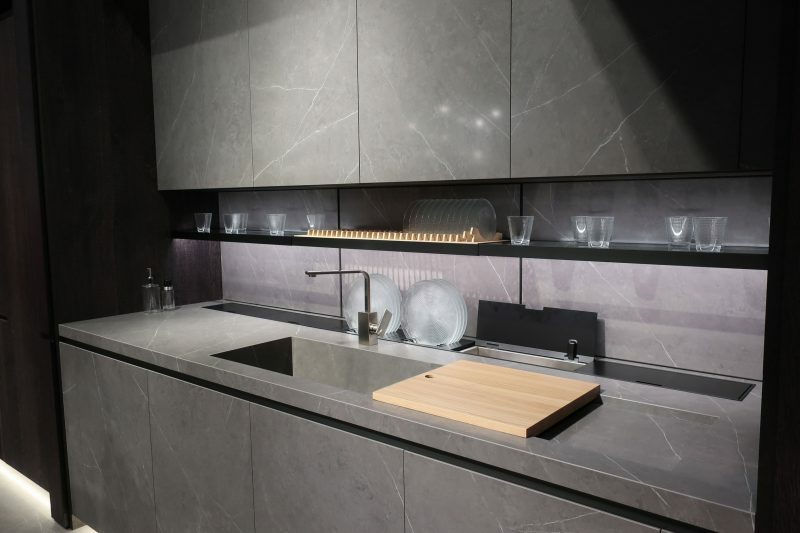 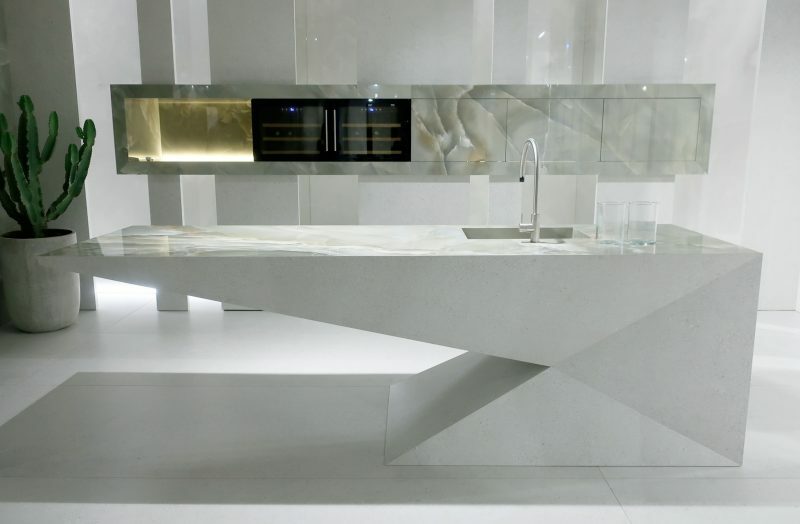 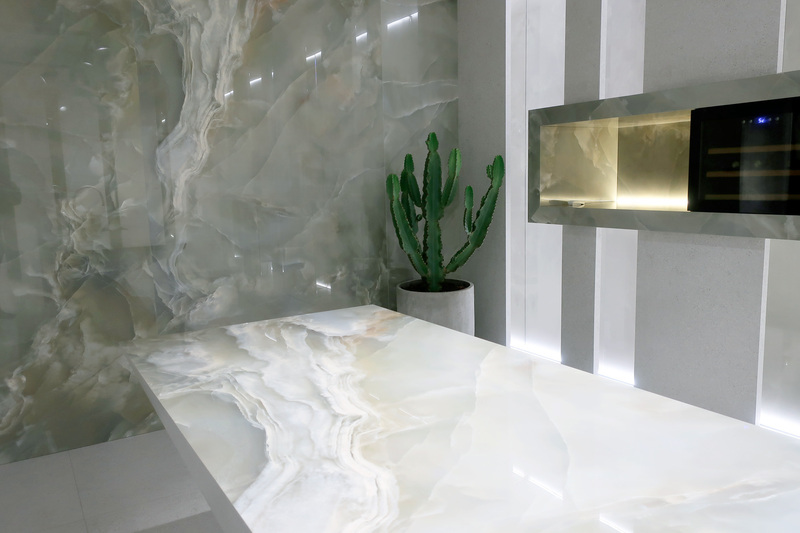 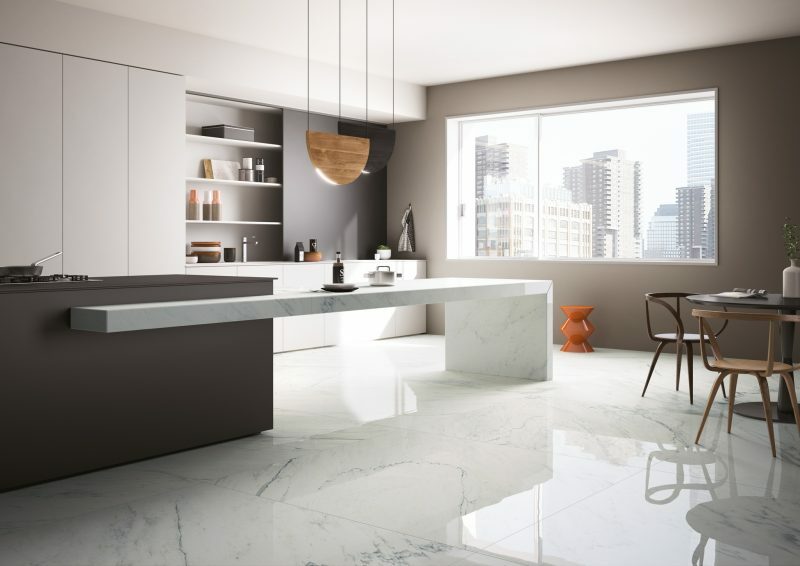 Available in a tremendous range of colours and surface styles including Calacatta marble and solid concrete, porcelain is not only harder and more durable than traditional surface materials but also more versatile and cost-effective.